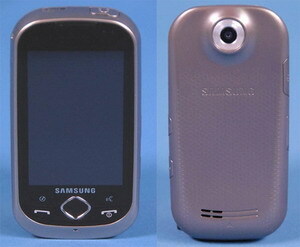 A CDMA-based touchscreen phone with 3G (EV-DO) by Samsung has been spotted at the FCC, it's the Samsung R700. The touch phone comes with some camera, a touch screen display of course, a headset jack, and dedicated camera and lock keys. 0 comments on "Samsung R700 touchscreen phone spotted at the FCC"